On Thursday, September 13, our seniors met their kindergarteners! The senior Grad2Grad students were matched with the kindergarten students in a big reveal. The kindergarteners squealed and smiled as they were greeted by their seniors for the first time with fun signs and thoughtful gifts! We have twenty-three “kinders” and seniors participating in Grad2Grad this year. Grad2Grad is one of the intentional ways that LCA works to unite our Upper School with our Lower School students. Our desire and purpose is that the senior students will be a godly spiritual and social influence who lead their kindergarteners. The idea was initially proposed by two former students and has been enjoyed by the younger and older students alike. 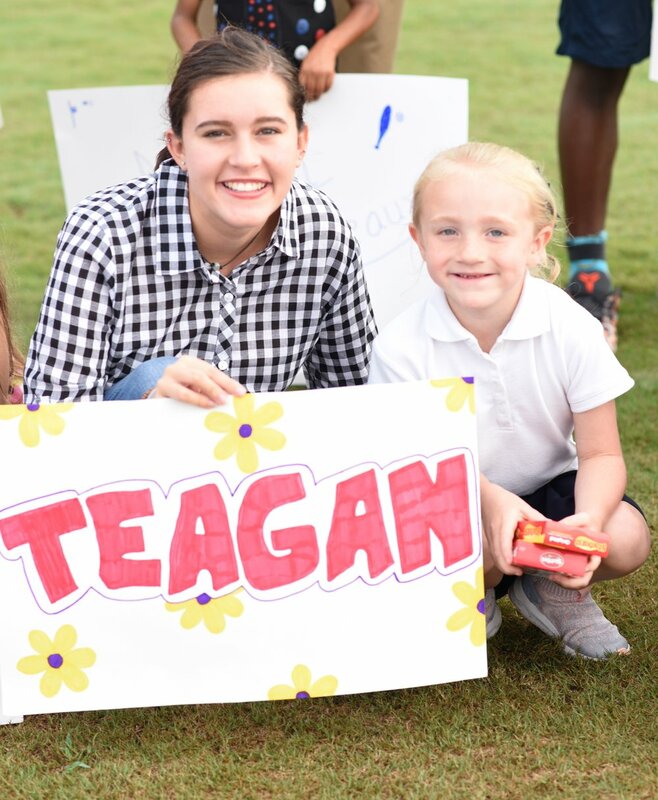 Having both Upper School and Lower School on the same campus gives us a unique opportunity use our senior students as mentors!